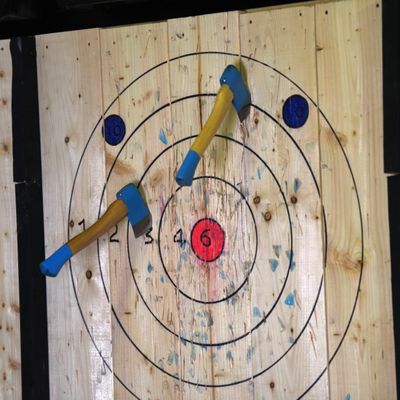 Private Axe Throwing at Axe Club. Events are lead by your own dedicated "Axpert" who will coach you on your own set of lanes before running a custom tournament to crown a champion. All sessions are about 90 mins long. We will be throwing hatchets indoors at our venue at Johnnie Bongos Brewery. No drinking alcohol prior to throwing or during throwing.